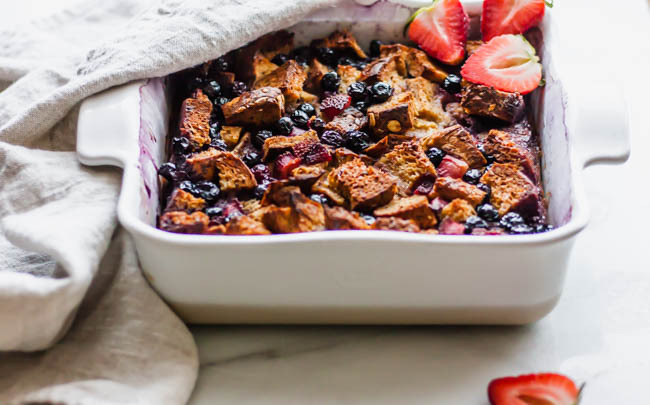 Bright berries enhance this rich french toast bake that’s perfect for feeding that brunch crowd. We’ve made the recipe healthier so you can enjoy more. 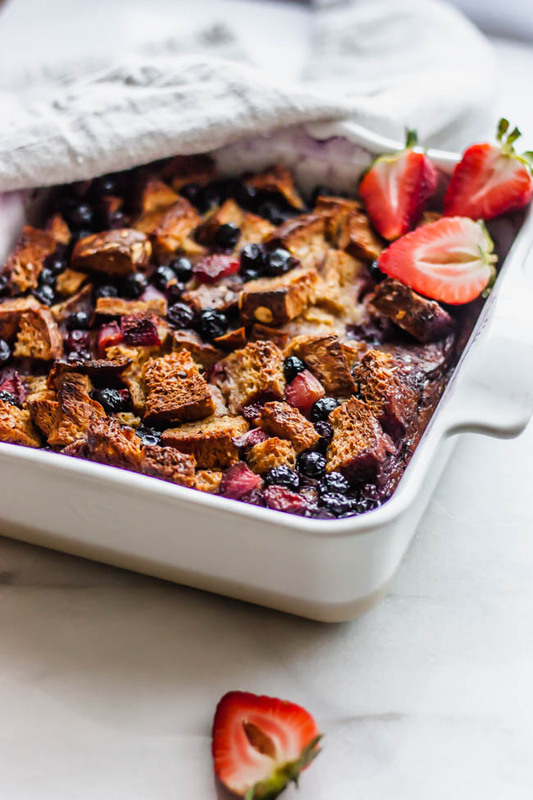 French toast can take a long time to make when you’re doing it piece by piece. By making one big bake, you save time and feed all of your guests! Slice the bread into cubes and cut up the strawberries. Mix the bread, strawberries, and blueberries together. Whisk the eggs, coconut milk, and maple syrup together. Grease an 8x8 casserole dish with the butter. Add the bread and berries to the dish. Pour in the liquid mixture and cover with foil. Bake covered for 25 minutes. Remove the foil and bake for 15-20 minutes longer, or until the bake is set. Serve warm.